The huge waves that draw surfers to the beaches around Peniche were not the reason I visited. One disastrous surfing lesson was enough to persuade me that it’s not the sport for me. I had other plans, the main one being a boat trip to the nature reserve on Berlenga Islands. I wasn’t expecting very much from Peniche itself but discovered a few things worth seeing and doing. 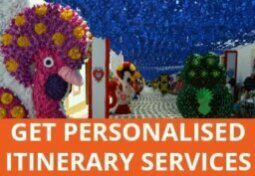 I’ve also included it in this bookable self-drive itinerary for Central Portugal. By the 16th century, Peniche was firmly established and under constant threat of attack from pirates and potential invaders. The obvious response was to build a fortress. Over the centuries, the building has served many purposes beyond its original defensive role. In the 1970s, it was used to provide temporary shelter for the retornados, refugees from former Portuguese colonies in Africa following independence. Given that, in the 1950s and 60s, Salazar’s secret police imprisoned dissenters of his facist dictatorship within the fort, that can’t have felt like much of a welcome back to the motherland. Near the archway to the courtyard there’s a door on the right which leads to the former visiting rooms. You can go inside and sit where political prisoners would have had emotional conversations with their loved ones. As you roam the walls of the fort to admire the views of the rocky coastline and across the town of Peniche, you’ll discover the area reserved for solitary confinement. The main building is now home to the Municipal Museum where you’ll find more chilling evidence of its time as a prison on the upper floor. The cells are now open and contain typical utensils and equipment to give visitors and insight into prison life. One cell is devoted to artwork created by prisoners, the most prominent of these being Alvaro Cunhal, one of the regime’s most ardent opponents. He managed to escape from Peniche prison in 1960 and, although exiled in Moscow, was elected secretary general of the Portuguese Communist Party, formalising the status he had held within the party since 1941. 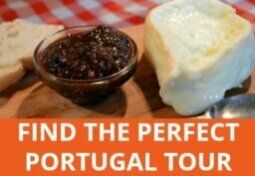 Unfortunately for non-Portuguese speaking visitors, there is hardly any information in English but you’ll still feel a shiver down your spine and get a sense of what life was like. The rest of the museum is comprised of random collections. If you are interested in how many different shapes the underside of a boat can take, you may want to pay more attention to the first couple of rooms than I did. For me, the other interesting exhibition was the magnificent bobbin lace work, sadly not displayed to its full potential. Peniche, along with Vila do Conde in the north of Portugal, was a renowned centre for producing high quality lace and by the 19th century it had around 1,000 skilled lace makers. Fashions and technology have changed and handmade lace is no longer as sought after, but fortunately the skills have not been allowed to completely die out. In fact, the 3rd Sunday of July is Lace Maker Day, celebrated with an international lace exhibition. Outside of this period, if you want to see lace makers tossing and clacking their bobbins as they weave intricate patterns, head to the Escola de Rendas Bilros (Bobbin Lace School) next to the tourist information office. From Monday to Friday, you’ll find local ladies exchanging gossip as they work away. If ladies with lace don’t appeal, you could stroll down to the harbour to watch local fishermen go about their daily tasks. They could be mending or storing nets, unloading a fresh catch or preparing to go out in one of their colourful boats. 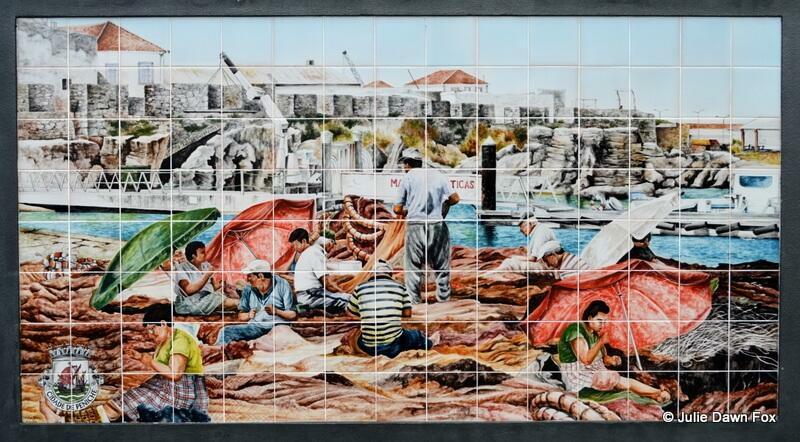 Fishing is such an important part of Peniche’s economy that there’s a commemorative azulejo panel at the harbour. The various seafood restaurants in the town pay tribute by serving up delicious fresh fish and seafood. Another place to watch fishermen in action is near the lighthouse at Cabo Carvoeiro. It’ll take about 45 minutes to walk there from the marina. Longer if you keep stopping to take photos of the weird rock formations and coastline. Not only is this a perfect spot for photo opportunities, it also affords a great view past the detached stack of rocks to the island of Berlenga. There’s a café and restaurant here (Nau dos Corvos) should you wish to linger for the sunset and beyond. Strictly speaking, Baleal isn’t in Peniche but it’s only about 5 km away and well worth a visit, even just for the day as suggested in this article about Europe Day trips. The headland is all but cut off from the mainland and the connecting causeway actually runs across the beach to the cluster of houses and accommodation on the rock. Here, the geology is strikingly different from Peniche. Instead of moulded grey shapes, jagged stacks of pancake rocks lie piled on top of each other. Baleal is a popular spot for surfers but it’s also great for families and walks on the beach and it has a few reasonably priced seafood restaurants and cafés. 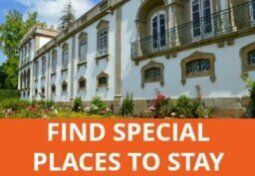 A car will obviously give you greater flexibility but it is possible to get to Peniche by bus with connections to Obidos, Caldas da Rainha, Leiria and Lisbon. 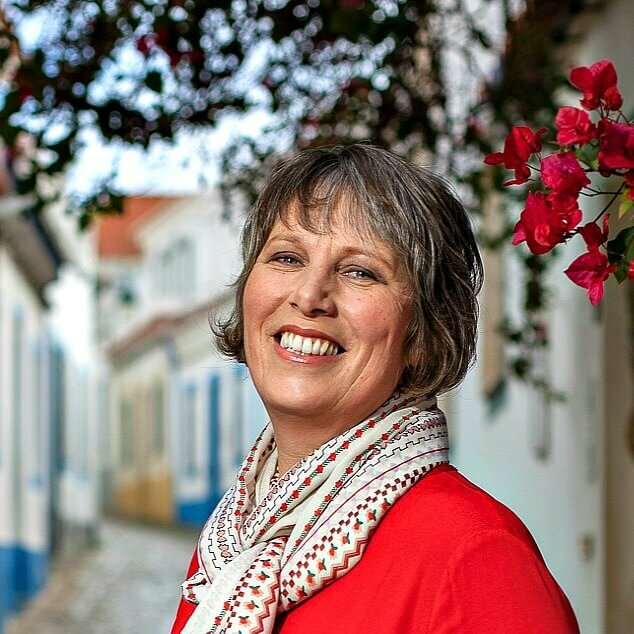 Or consider using Óbidos as a base for exploring Portugal’s Silver Coast.